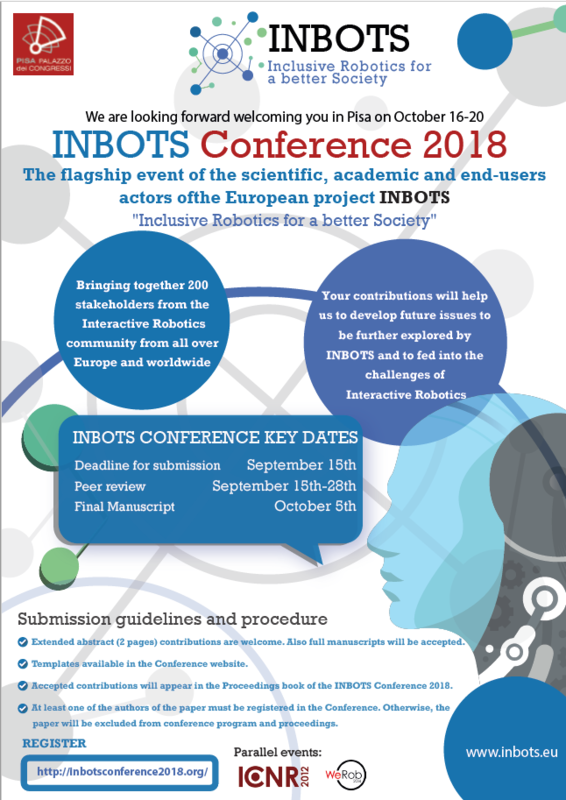 We are pleased to announce that we already know more information about the INBOTS Conference 2018, the first of a number of events that will bring together the main stakeholders in the field of Interactive Robotics to make an upgrade in the progress and advances made and discuss the main issues that compromise the introduction of this technology into the marketplace. This event will take place in the Italian city of Pisa from October 16th to 20th 2018, in parallel with the International Conference on Neurorehabilitation (ICNR2018) and the International Symposium on Wearable Robotics (WeRob2018). The Conference will become the flagship event of the scientific, academic and end-users actors of INBOTS “Inclusive Robotics for a better Society” project, which will bring together the main stakeholders involved in Interactive Robotics development, acceptance and integration in society. The conference results will be taken forward to shape the further work of the project and will inform future policy and research debates in Interactive Robotics. 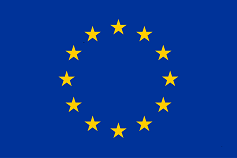 The Conference will include individual sessions informed by a series of keynotes speakers, including high-level representatives from the EC, R&D centres, universities and industry. Demonstrations and plenary talks will also take place. Promote societal and socio-economic uptake of robotics.